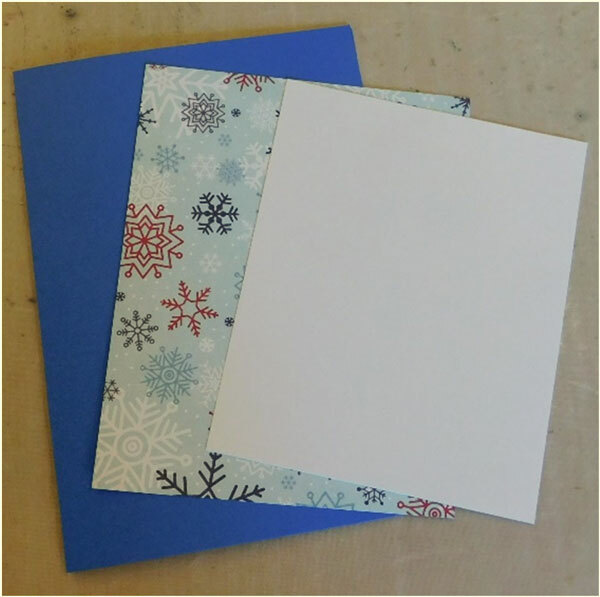 The holiday season is finally upon us and it’s time to get down to creating the last of those holiday cards if you haven’t already. This snowy scene will be a nice addition to those cards you’ve already created. It will definitely put you in the mood for the holidays if you aren’t already. 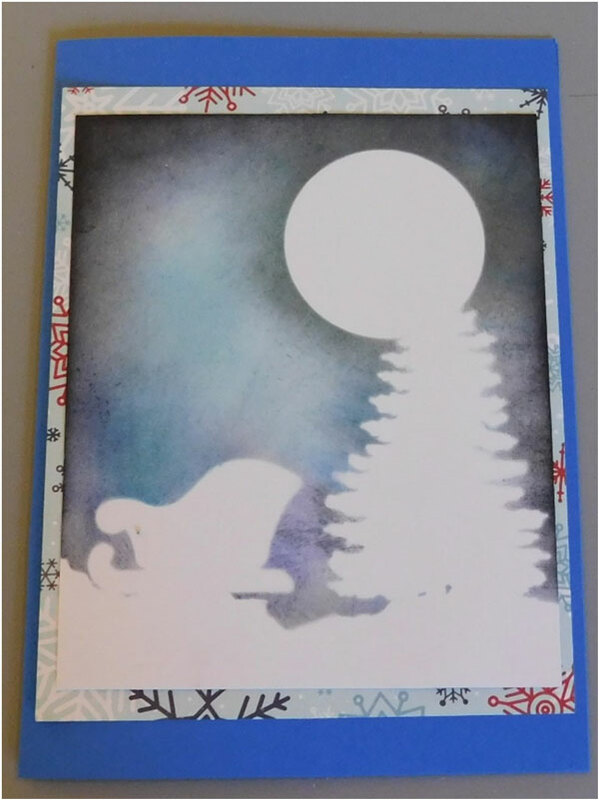 Begin this card by creating a card base and attaching a piece of patterned paper (A Perfect Winter by Echo Park shown here) and then cut one last piece from white cardstock to create the scene on. 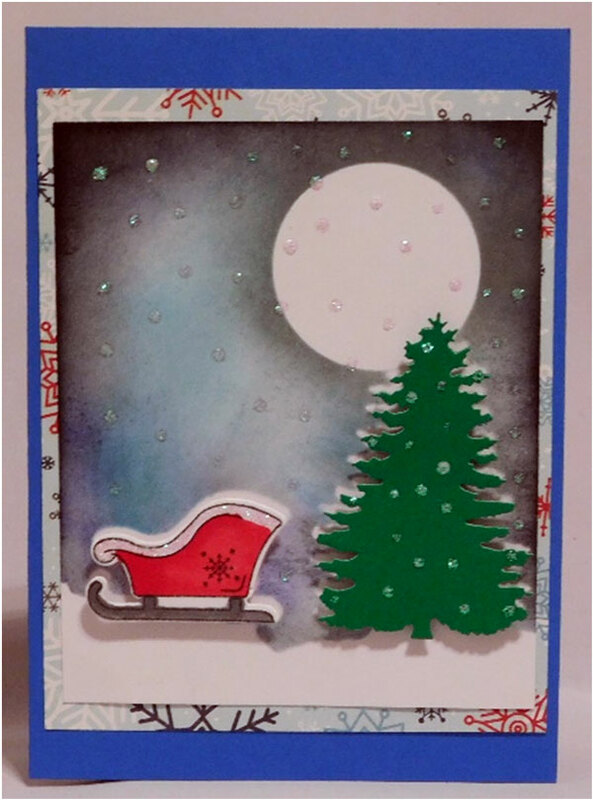 This card base is a 5” x 7” base with a 4 ¾” x 5 ¾” piece of patterned paper and a 4 ½” 5 ½” piece for the scene. 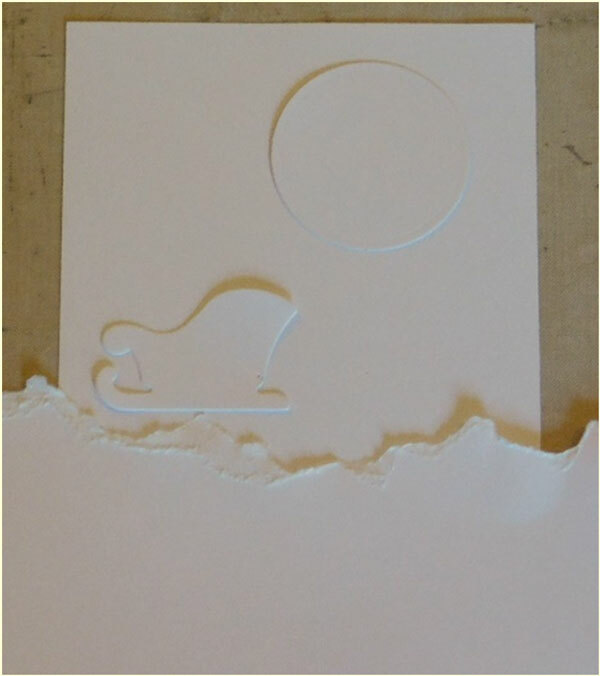 Tear a scrap of cardstock to create a small hilly area. You can keep tearing the paper until you find one that you like and will fit well onto the scene. 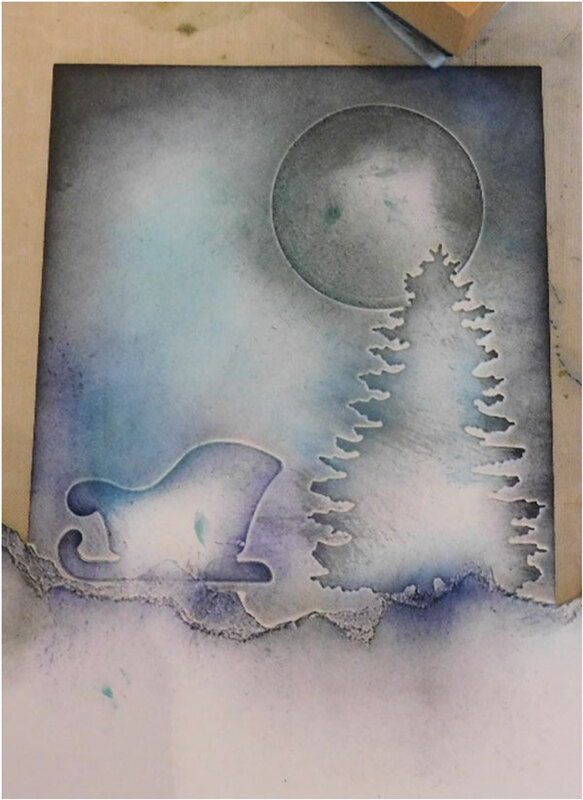 Use your die cut machine and a circle die, as well as, the Jingle All the Way die set by Hero Arts to make the masks for the areas you want to leave white. 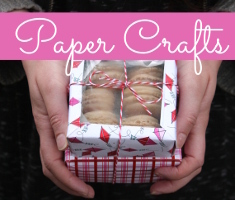 Attach them to the first piece of cardstock using repositionable tape. 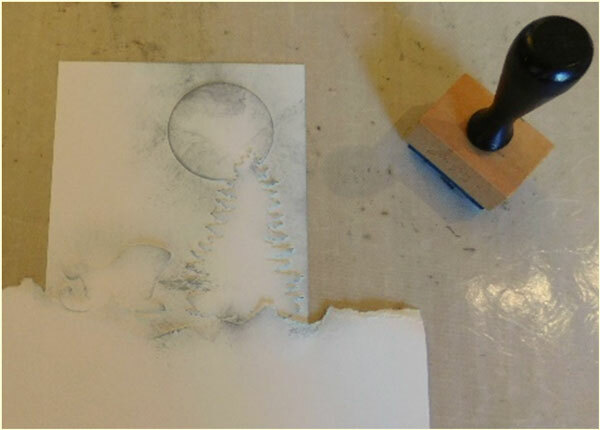 Die cut a tree and add it just behind the hilly area and in front of the moon mask. 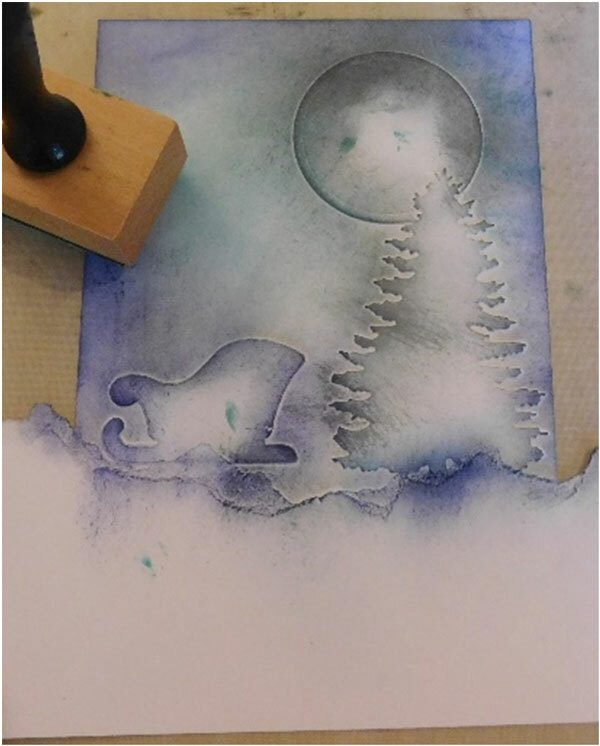 Some of the bottom of the tree should be left open so that as the ink is applied the background will show through. 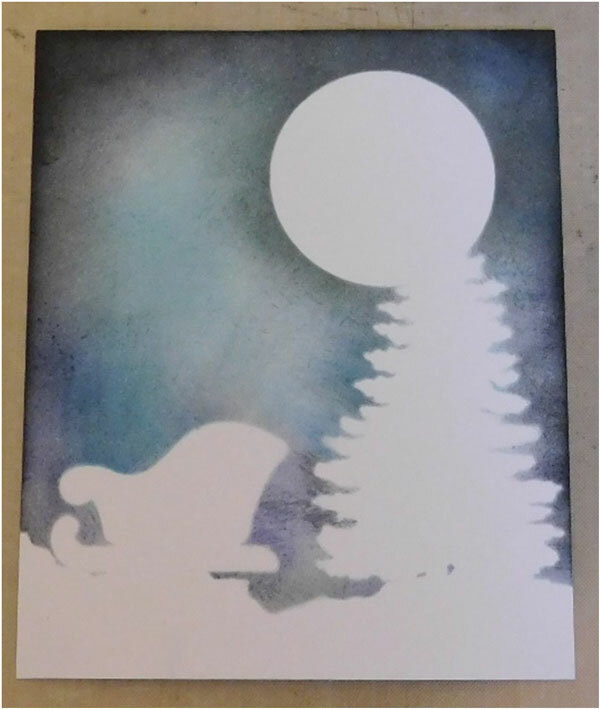 Start by adding a grey ink around the moon using a blending tool. Add the ink until it is as dark as you would like it to be. Add a light blue ink around all of the open areas, but make sure not to get right up to the moon. Keep adding the ink in layers to blend it. Now add a dark blue ink as you have in the previous steps. Again, do not go directly up to the moon so that the gray area is left untouched. Blend in blank ink around the edges. 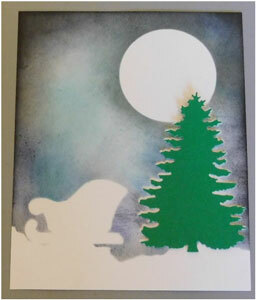 Again, redo the grey around the moon and the light blue inks to make them stand out again. 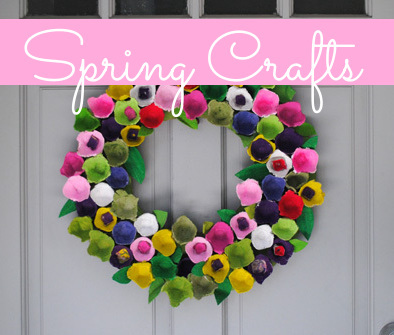 Carefully remove all of the masks to reveal the finished piece. Assemble the card using the tape runner. 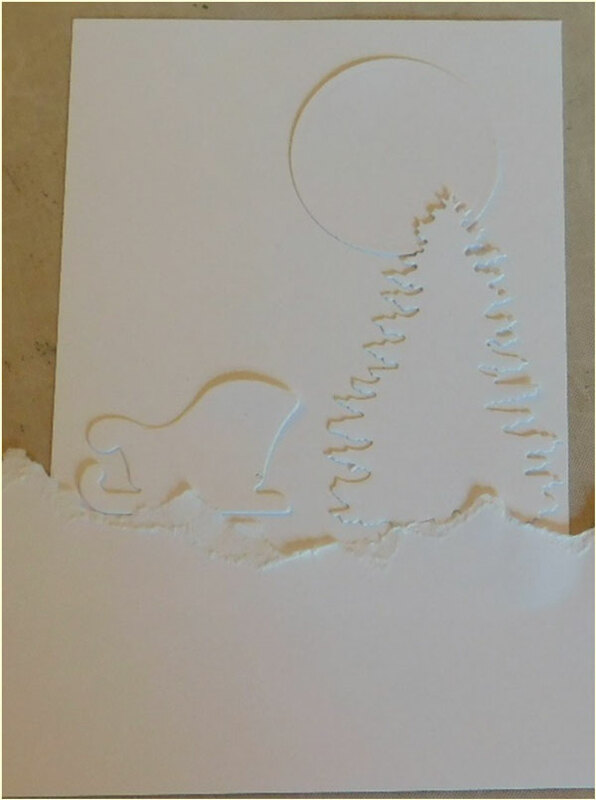 Die cut a second tree from green cardstock. 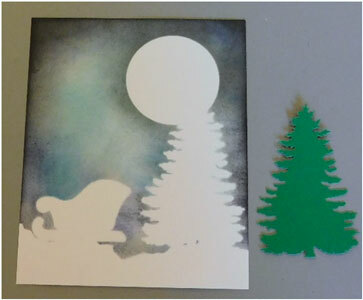 Use a piece of 3-d adhesive on the back of the tree to make it stand out from the background. When applying it to the piece off set it just a little so that the white behind it shows above the green branches giving it the effect that the branches have snow on them. 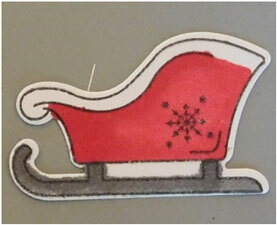 Stamp the sleigh in black ink and die cut out. Add some color to it using your favorite markers. 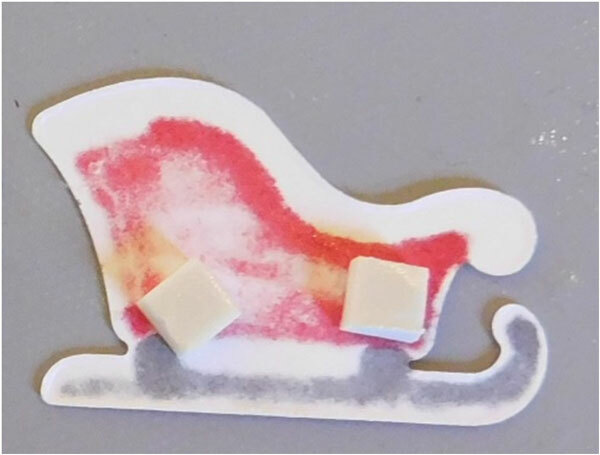 Attach the sleigh using the 3-d adhesive. 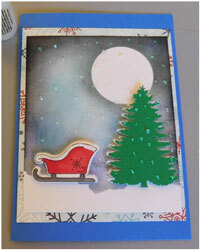 Use some Stickles to add drops of snow onto the background and the front of the tree. 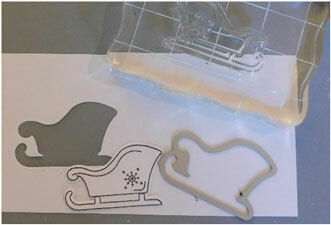 Add a little shine to the sleigh by outlining the top piece of it. 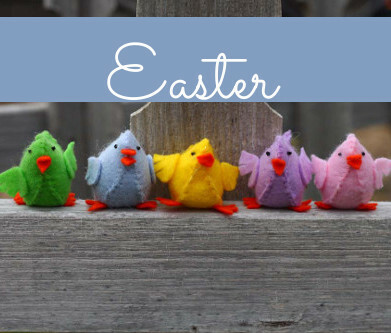 Finish the card with a sentiment on the inside. 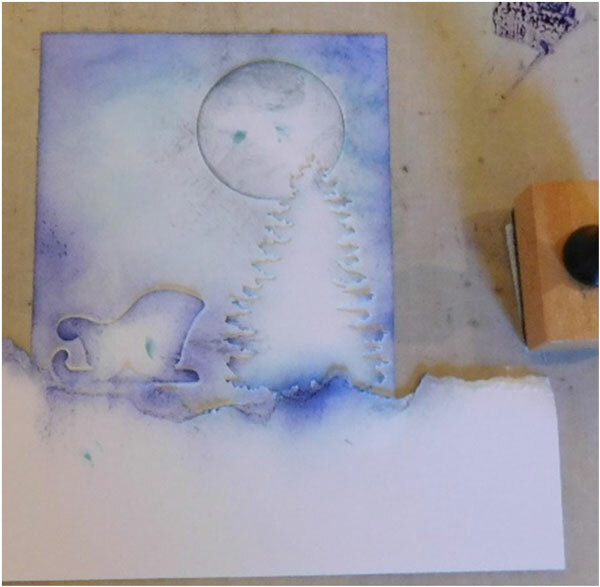 The quiet of a snowy night and the peacefulness of a new fallen snow will bring joy to anyone this time of year especially if it’s on a card for a special friend on your list. Send this glistening season’s greeting to let those special people know that you are thinking about them. 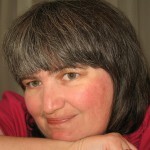 As always, be sure to have a, “Happy Holiday” season yourself! 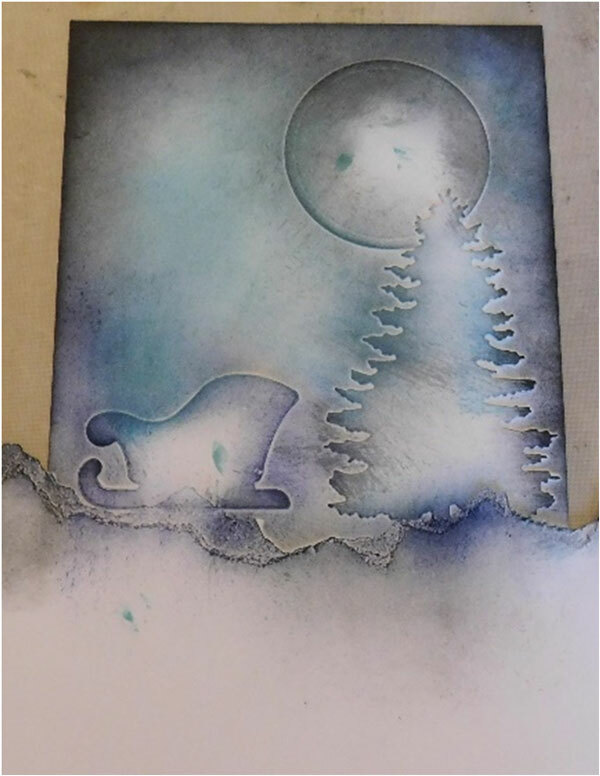 This entry was posted in Cardmaking, Winter and tagged Card Making, Christmas cards, Die Cutting, Rubber Stamping, Stamping on December 13, 2017 by Peg.